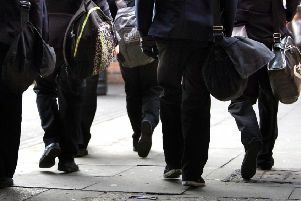 The Government is being urged to reintroduce compulsory work experience for teenagers by a South Tyneside-based education body which delivers vocational skills programmes to 14 to 16-year-olds. Bosses at Career College North East (CCNE) say putting youngsters into the workplace is a crucial introduction to employment and have called for a rethink of national policy after a new survey of 1,000 teenagers by the Career Colleges Trust found 83 per cent think work experience should be compulsory on their school or college curriculum. The Career Colleges Trust, which oversees the creation and running of vocational career colleges, says the findings suggest the Government was wrong to remove work experience from the curriculum in 2012. Nationally, more than two thirds (67%) said they believe work experience is beneficial for finding employment, with more than half (56%) saying it allows you to learn valuable skills that are not taught in the classroom. CCNE was founded in 2015 as a partnership between South Tyneside College and St Wilfrid’s RC College, in South Shields. It delivers a two-year programme to 14-year-olds in engineering, advanced manufacturing, computer science and maritime studies. Ray Parkinson, head of CCNE, said: “It is imperative that young people are given every opportunity to have their eyes opened to new skills and possibilities. Unfortunately, they are being severely restricted in this by the fact there are now such limitations on seeing beyond the classroom or into the world of work. “It is not just that they are taken out of the classroom and placed in a new and stimulating setting. Being with an employer allows them to make a positive impression and contribution. Ruth Gilbert, CEO of the Career Colleges Trust, said: “It is clear from this research that today’s teenagers in both the North East and the rest of the country, are desperate for good work experience opportunities and are very much aware of the benefit this will have on their future career.